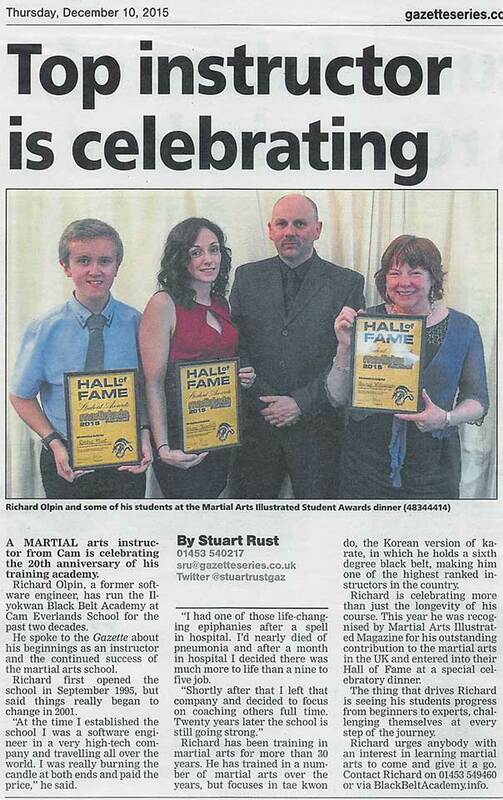 A great little article in the Gazette this week about Master Olpin celebrating the Academy’s 20th Anniversary here in Cam. It’s a little late as the actual anniversary was back in September, but the paper only just picked up on it recently.. In the photo with Master Olpin you’ll see our two leadership team assistants, Robbie Hirst and Shirley Williamson who are undoubtably the two most loyal students we’ve ever had, along with Shona Thornhill who was Master Olpin’s first black belt graduate back in 2000..
Here’s to the next 20 years eh!